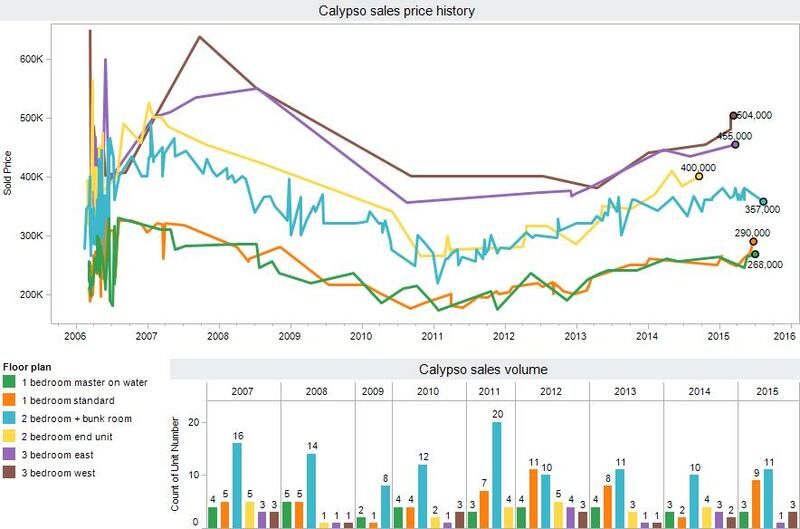 The graph below shows a sales history of Calypso Condominium. 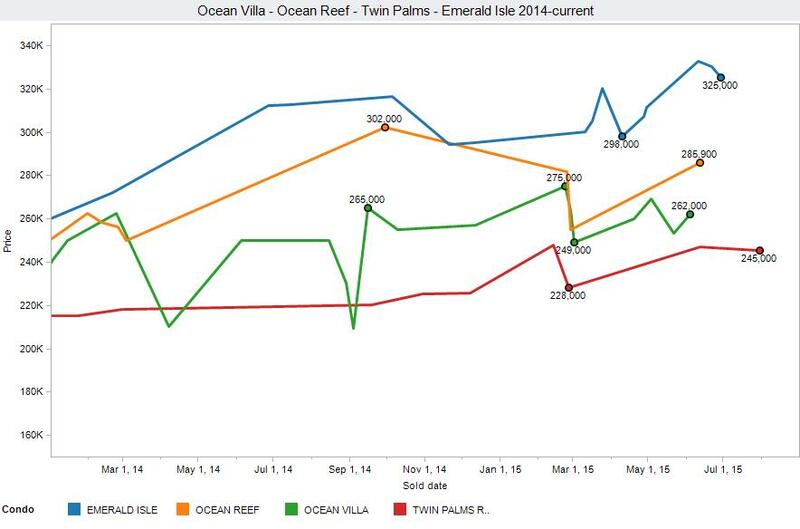 This is followed by a graph detailing the recent sales for Ocean Villa and other similar buildings. Both are examples of sales prices holding constant or increasing. 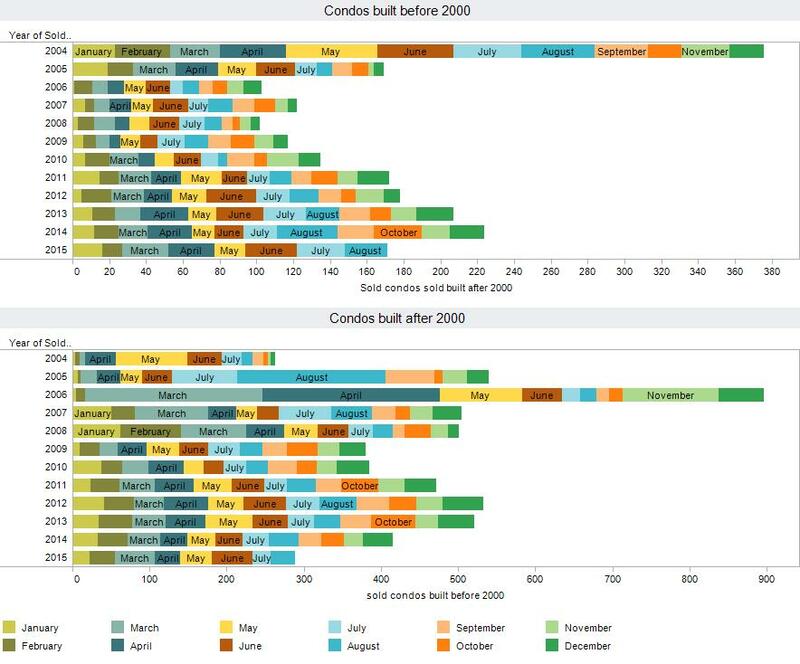 Condos built before 2000 are up more than 18% compared to last years sales volume. 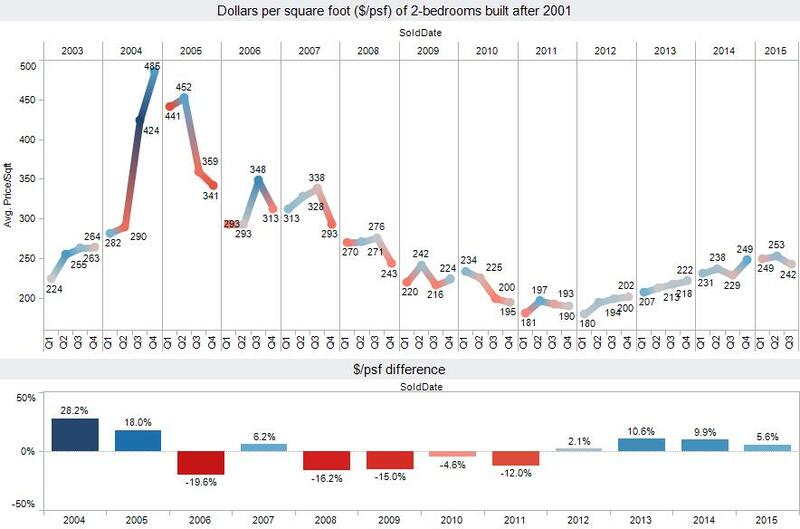 Condos built after 2000 are falling just short of last years sales volume. All condo sales are 5% higher than last year at this time. Created on 02 September 2015 . Last updated on 08 September 2015 .